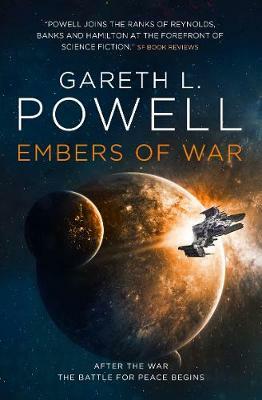 From BSFA Award winning author Gareth L. Powell comes the first in a new epic sci-fi trilogy exploring the legacies of war The sentient warship Trouble Dog was built for violence, yet following a brutal war, she is disgusted by her role in a genocide. Stripped of her weaponry and seeking to atone, she joins the House of Reclamation, an organisation dedicated to rescuing ships in distress. When a civilian ship goes missing in a disputed system, Trouble Dog and her new crew of loners, captained by Sal Konstanz, are sent on a rescue mission.